Yokogawa Electric Corporation announces that it has received the Award for New Products and the International Standardization Award: Achievement Prize from the Society of Instrument and Control Engineers (SICE)*1. The awards were presented on October 27. Encouraged by this, Yokogawa will continue working to develop and bring new products to market. Details about these awards follow. The Award for New Products is given to SICE member organizations who have released a new product in the previous two calendar years that represents a significant advance in any one of the science & technology fields or industries in which SICE is involved. Yokogawa developed functions that comply with the AGA8*2 standard for calculating the compressibility of natural gas, and expanded its natural gas flow rate measurement solutions by introducing them in its transmitters and controllers in 2006 and 2008, respectively. In 2013, Yokogawa successfully implemented a solution that made combined use of Modbus*3 communication type DPharp EJX multivariable transmitters and a ProSafe-RS safety instrumented system that was capable of performing gas flow rate calculations. This ensured not only highly precise and reliable gas flow rate measurement, control, and data management, but also proved to be a cost-effective plant safety solution that conforms to functional safety standards. For this contribution to the natural gas industry, SICE presented this award to Yokogawa. The International Standardization Award: Achievement Prize is given to individuals and organizations who have significantly contributed to a field in which SICE is involved through the establishment of international standards. Yokogawa Electric Corporation announces the renewal of a global agreement with BP*1 to supply main automation contractor services (MAC services) to BP's upstream entities. With the renewal of this agreement, BP and Yokogawa have reaffirmed their shared commitment to achieving mutual success and securing the delivery of superior long-term value through the provision of MAC services. 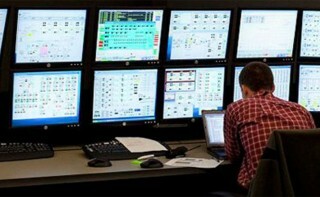 Yokogawa first signed a global MAC services agreement with BP in 2007. By providing reliable products and demonstrating its engineering and project execution capabilities on prior BP projects, Yokogawa is integral to BP's drive for capital efficiency. The renewed agreement is for a period of 10 years. The Yokogawa products and services covered by this global agreement include the CENTUM® VP integrated production control system, ProSafe®-RS safety instrumented system, STARDOM™ network-based control system, Plant Resource Manager (PRM®) plant asset management package, FAST/TOOLS SCADA software, Exaseries productivity solution software, field wireless and other types of field instruments, analyzers, project management and system integration engineering services, and operation and maintenance services. Shuji Mori, a Yokogawa vice president and president of Yokogawa Electric International, a subsidiary that oversees Yokogawa's IA and control business outside Japan, had the following to say about this agreement: "BP has been a Yokogawa customer for many years, and this agreement takes our relationship to a new level and underscores BP's commitment to safe and reliable operations. This long-term partnership with BP will increase our presence in the oil and gas industry, which is one of the main sectors we are targeting under the Transformation 2017 mid-term business plan." Technip, in a consortium with Petrovietnam Technical Services Corporation (PTSC), has been awarded a engineering, procurement, construction and commissioning contract by PetroVietnam Fertilizer and Chemicals Corporation (PVFCCo). The project covers the revamping of the ammonia plant at the existing Phu My Fertilizer Complex, located in southern Ba Ria-Vung Tau Province, Vietnam. The plant upgrade will increase the current ammonia output by 20% at the Phu My Fertilizer complex, using Haldor Topsoe technology. The ammonia will notably be used as feedstock for a new NPK plant and for the domestic market supply. Technip’s operating centers in Rome, Italy; Kuala Lumpur, Malaysia and Ho Chi Minh City, Vietnam will execute the contract. The expanded ammonia plant will be brought into operation in the second half of 2017. KK Lim, President of Technip in Asia Pacific, commented: "We are delighted to be working with PVFCCo again, having engineered and built the initial Phu My Fertilizer Complex which was successfully commissioned in 2004. This award reinforces our long lasting relationship and demonstrates the client’s continued confidence in Technip as a leader in the fertilizer sector which offers solutions based on the world reputed Haldor Topsoe process technology.”. Kepware Technologies, a software development company focused on communications for automation, has announced the opening of its Tokyo, Japan office. While the company has a solid foothold in more than 100 countries through channel partners, this marks the first international location for Kepware. The office is located at 8F Pacific Century Place in the Chiyoda district of Tokyo, and led by Liem Le, International Sales Director, Asia Pacific, Middle East, and Africa (AP MEA), Kepware. The Tokyo office will focus on business development opportunities and building partner relationships. "We are excited to announce the launch of our Tokyo office," said Brett Austin, President, Kepware. "Expanding Kepware’s presence in global markets and delivering regionalized software solutions are major initiatives over the next few years. With our Japan location, we will be able to interact more closely with both our customers and partners in the area, strengthening those relationships and supporting future growth." Kepware’s Preferred Distributor in Japan, Kanto L-Engineering Co. (KLEC), will join the company during a press conference on July 15th at the TKP Tokyo-eki Yaesu Conference Center to discuss details about the new location. KLEC promotes, distributes, and provides support for all software solutions across Kepware's product portfolio. "Kepware’s flagship product, KEPServerEX, leverages OPC and IT-centric communication protocols, making it the world’s leading communications platform for the industrial automation industry," said Choulho Kim, President, KLEC. "We are proud to partner with Kepware and provide distribution to the Japanese market. It is a great honor for us to be able to contribute to the expansion of Kepware’s global business, and we look forward to working closely with the Tokyo office." Exida is very pleased to partner with Qingdao Moses in China , a high-tech enterprise that specializes in providing products and service of industrial automation process control system integration, DCS maintenance and operation, industry network information security protection as well as industrial data acquisition and transmission. Qingdao Moses in China is a member of both China Industrial Software Promotion Association (CISPA) and Subcommittee 4 on Industrial Control System Information Security of National Technical Committee124 on Industrial Process Measurement and Control of Standardization Administration of China (SAC/TC124/SC4), owner of ISO9001 certification. With complimentary areas of expertise, networks and services offering, both companies will benefit from this agreement. Qingdao Moses operates a sound management system, owns powerful technical staff, equips with advanced manufacturing and testing equipment and has passed the supervision and audit for successive years. Qingdao Moses provide products and service in fields of petrochemical, pipelines, metallurgy and papermaking from thirty provinces and autonomous regions of the country and receive high appraisal from the customers. Though Qingdao Moses have gained honor of the Automation in Petroleum and Chemical Industry Technology Award, the 2012 annual China Information Security Innovation Award and Excellent Solution Award, there still a long way to go.